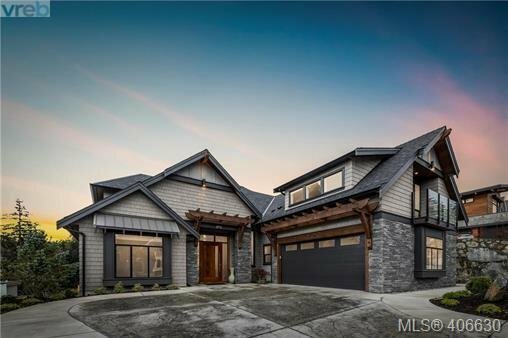 *OH: Sat - 2pm to 4pm* Situated on sought-after Pebble Place on Bear Mountain, this Draycor Construction built luxury home will impress from the moment you enter through the oversized, pivot front door! Attention to design detail is impeccable throughout all 4.450 sq ft of this 2017 built, 5BED/4BATH home. Main level offers office, Master Bed w/ spa inspired ensuite & walk-in closet, great room featuring 18’ vaulted ceilings, dining room and stunning kitchen w/ massive island for extra seating. Ideal for entertaining, the lower level includes media room w/ built-in bar and incredible glass wine cellar as well as two more bedrooms & bathroom. Upstairs you’ll find two well-sized bedrooms, main bathroom and spacious Bonus Room. Low maintenance, two level rear yard w/ outdoor kitchen and heater. From the light fixtures to the tile work to the ceiling details, this upscale property will excite most! Bear Mountain Golf Membership included.